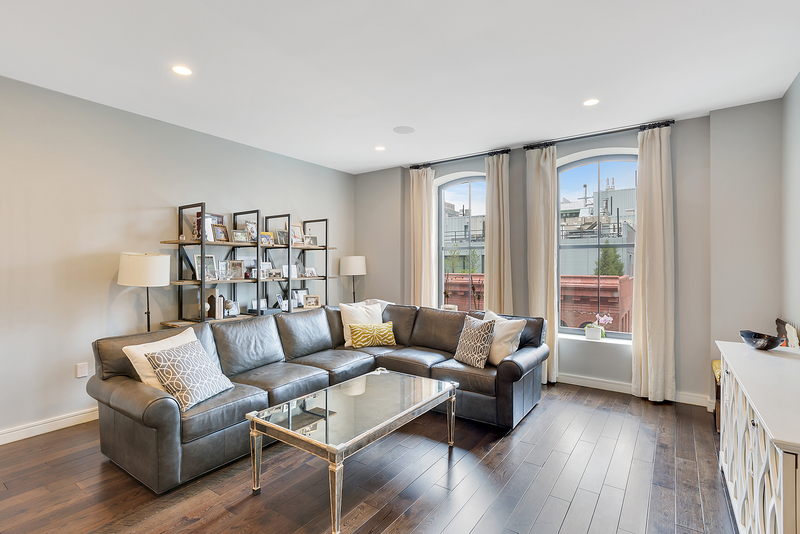 Overlooking the historic buildings on Washington Street, this massive luxury apartment with 2 bedrooms, 2.5 baths and a home office is outfitted with everything someone could want in a home. The loft-like home features 10 foot ceilings and 5 inch plank floors as well as East facing oversized arched windows allowing for tons of natural light. The open chef's kitchen with large island, Poggenpohl cabinetry, white quartz countertops and imported glass tile backsplash includes a Sub-Zero refrigerator and Bosch stove, range and dishwasher all with incorporated panels. The large master bedroom suite has an immense custom walk-in closet and a 5 piece marble bath including a walk-in stall shower and a 6 foot Catalina soaking tub. The second bedroom has an en-suite bath with stall shower and the home office is equipped with custom built-ins and a barn door for privacy. With Crestron motorized shades in the master bedroom, built-in Sonos speakers in every room and closet pre-wired for an audio/video system and a Bosch washer/dryer in the unit. The apartment also comes with a much coveted private on-floor storage room! 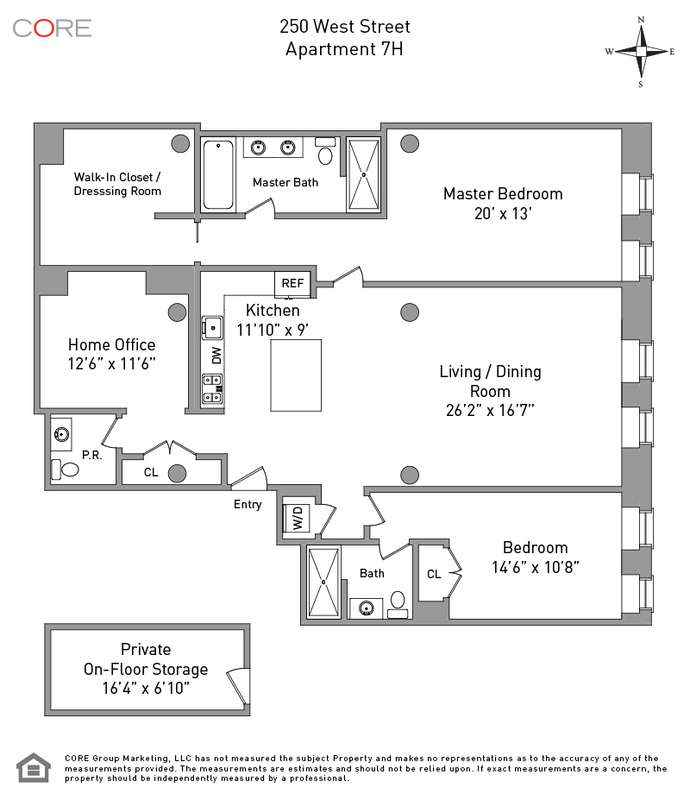 The storage room is approximately 122 square feet with 10 foot ceilings and is directly down the hall from the apartment making it the ultimate convenience. Perfectly situated in the heart of TriBeca, 250 West is a turn of the century stone and brick former warehouse building that was completely gutted and renovated in 2012. The building has a 24 hour doorman as well as a fitness center, library lounge area, children's playroom, a 61-foot indoor swimming pool with recreation area, sauna and a 5,000 square foot roof deck with panoramic views, sundeck, lounge and dining area. Just outside the front door, you will find great dining, Whole Foods Market, conveniently located subway and bus lines, the Hudson River Greenway and Park near Piers 25th and 26th and close to the TriBeca dog run, playgrounds, beach volleyball court and bike and running paths.